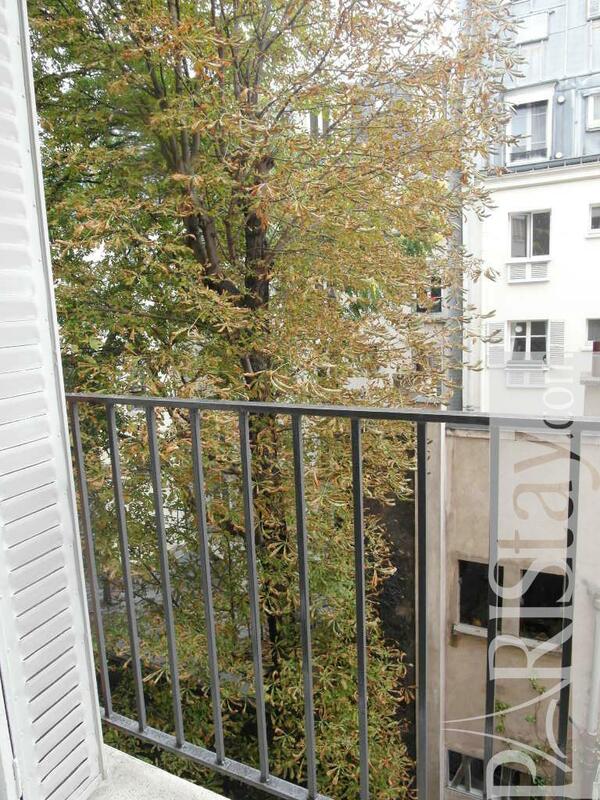 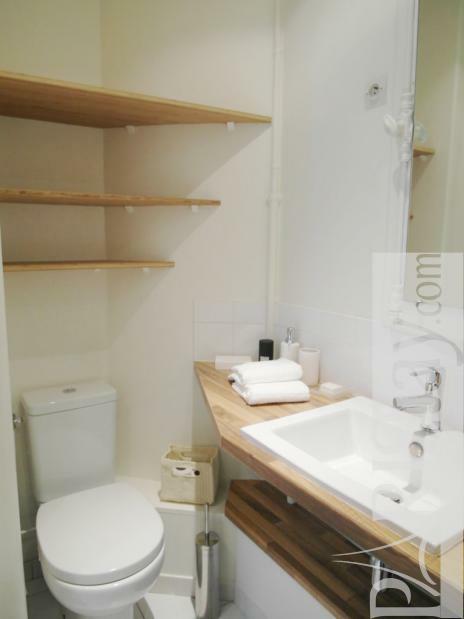 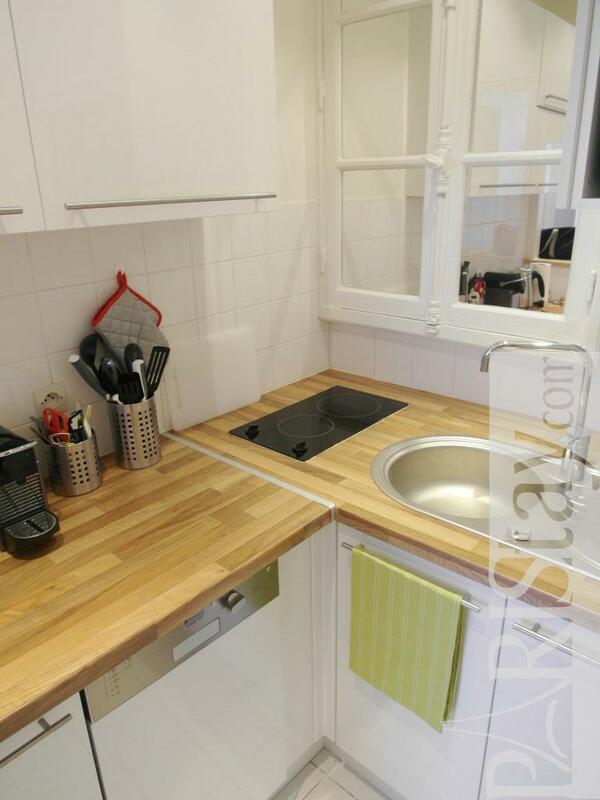 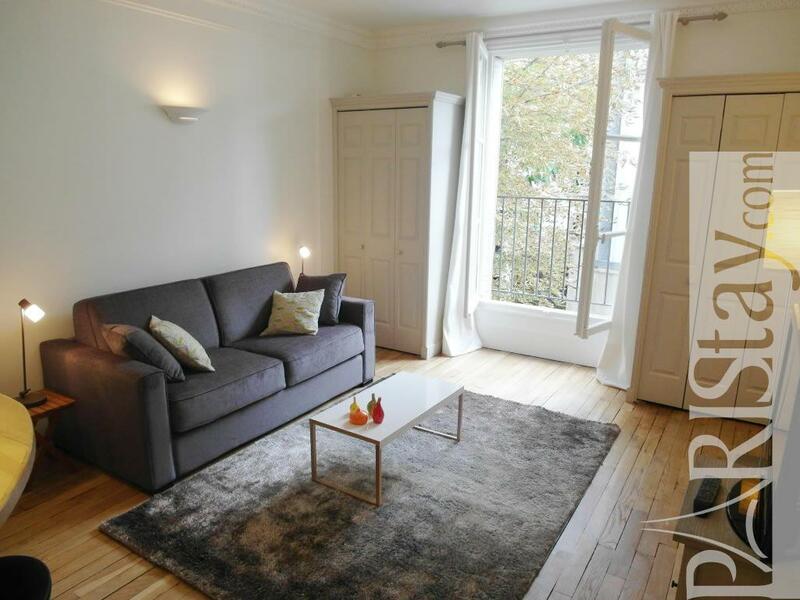 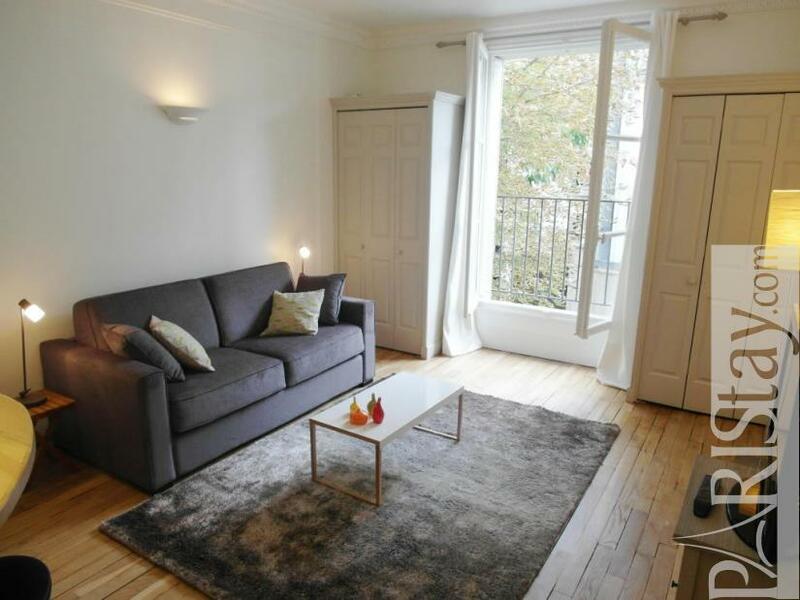 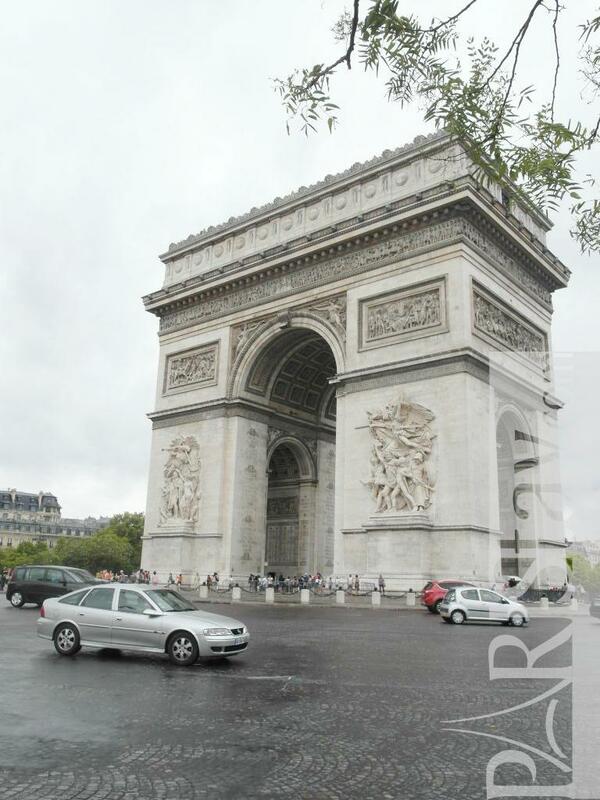 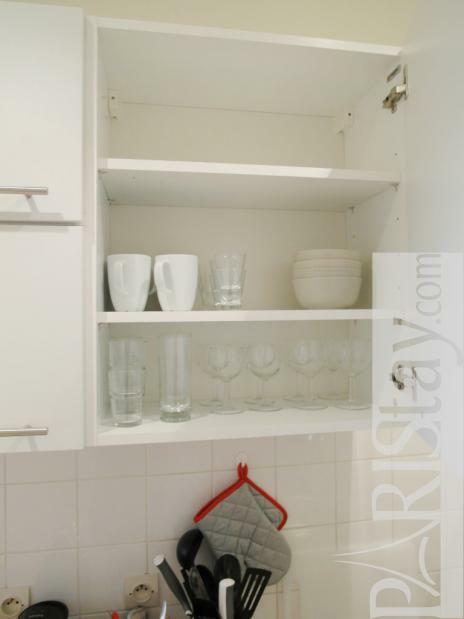 Adorable, brand new and quiet Paris studio apartment, only 2 minutes away from the famous Champs Elysees Avenue, the magnificient Arc de Triomphe, and the Parc Monceau - one of Paris' most beautiful park. 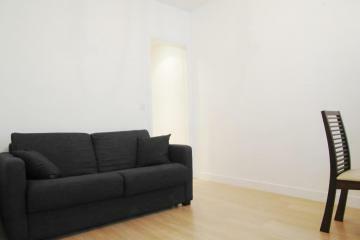 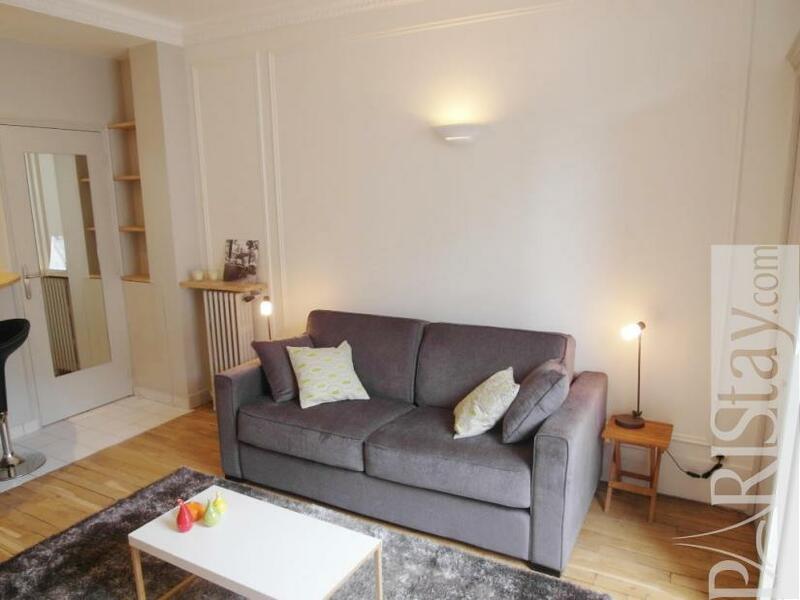 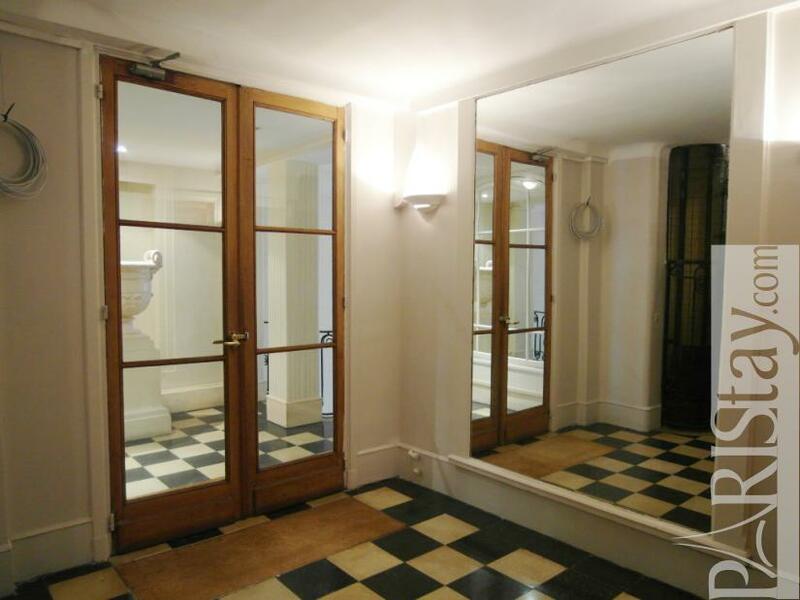 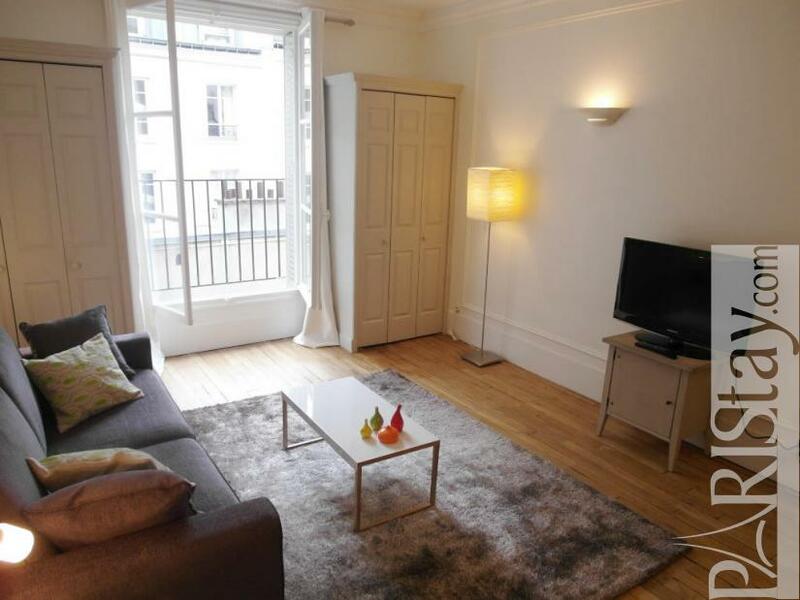 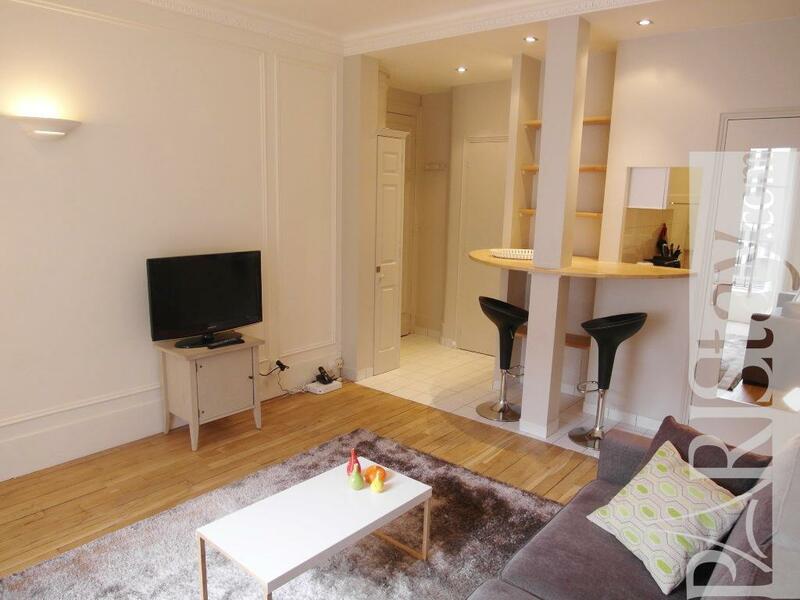 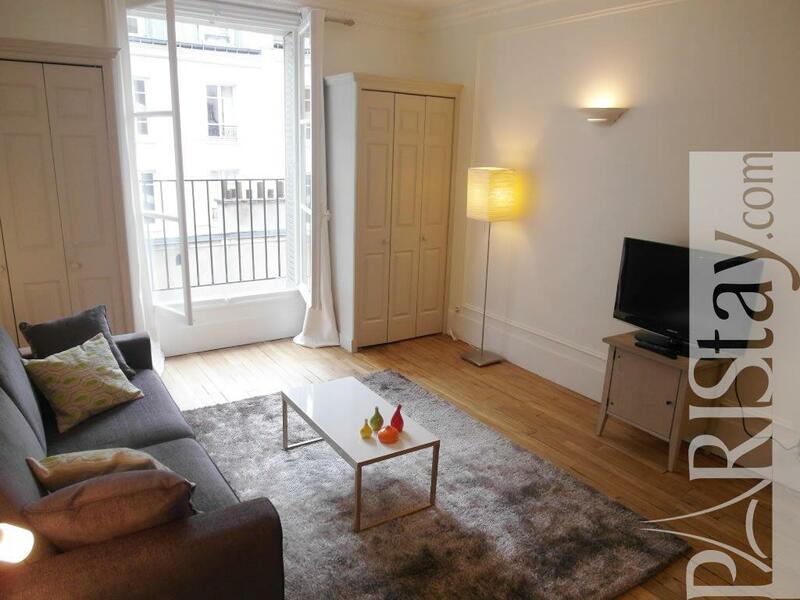 Ideally suited for 2 people, the flat is situated in a very safe and elegant part of the city. Elegant living room area with a very comfortable sofa bed, it's also very quiet as the flat overlooks a peaceful courtyard with greenery. 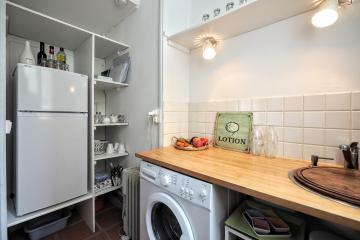 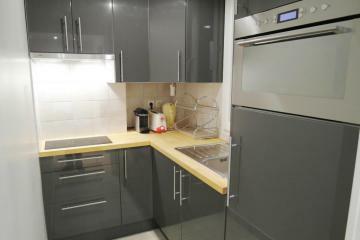 The kitchen is equipped with all modern appliances, including microwave oven, dishwasher, and washer. 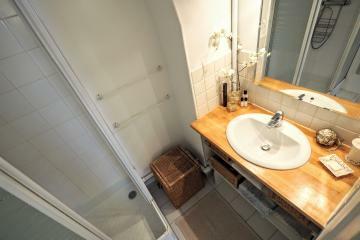 Nice bathroom with a tub/shower. 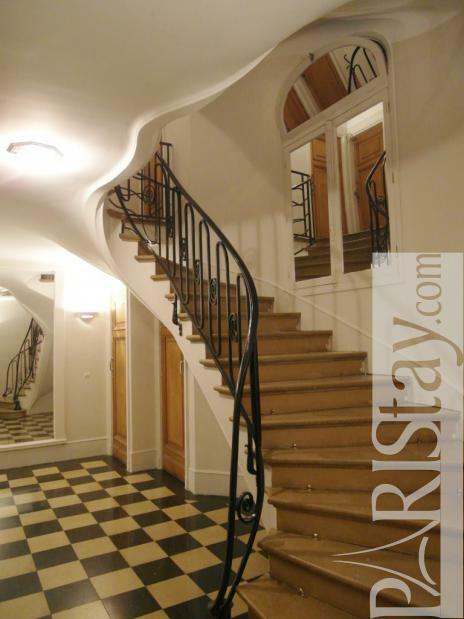 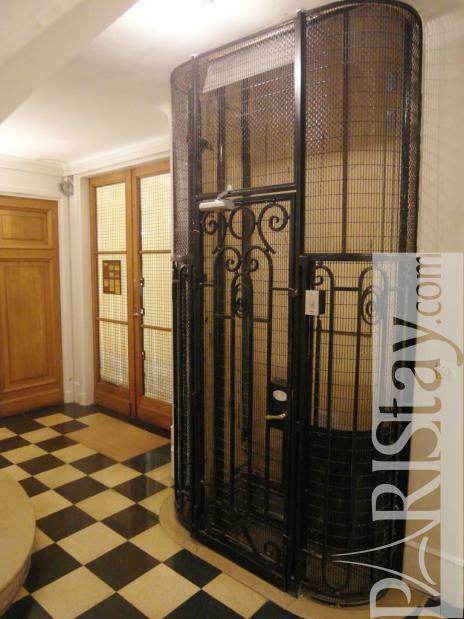 Perfect choice for a Paris long term rental. 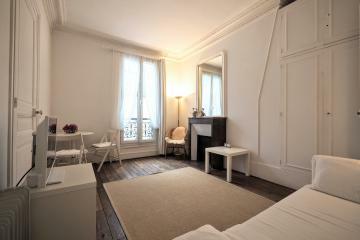 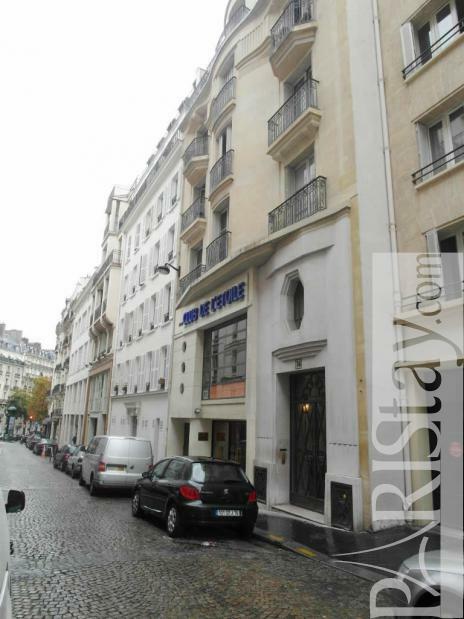 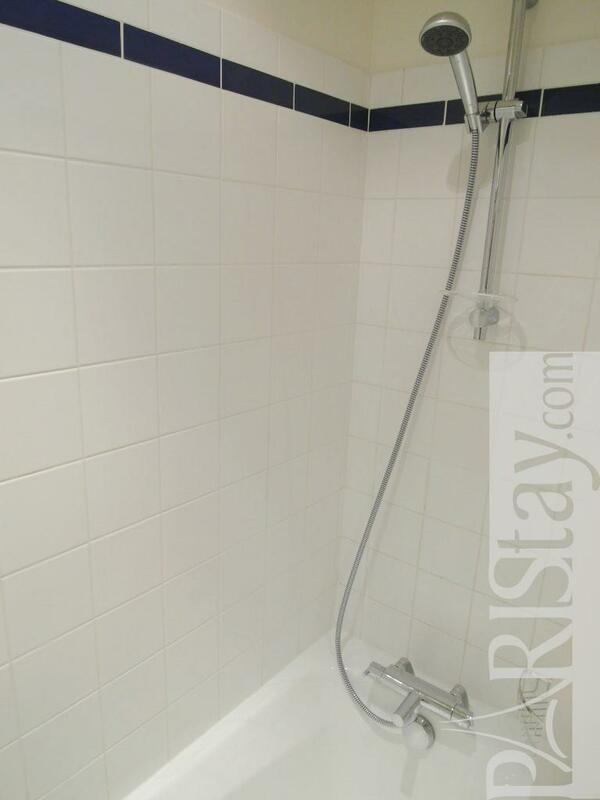 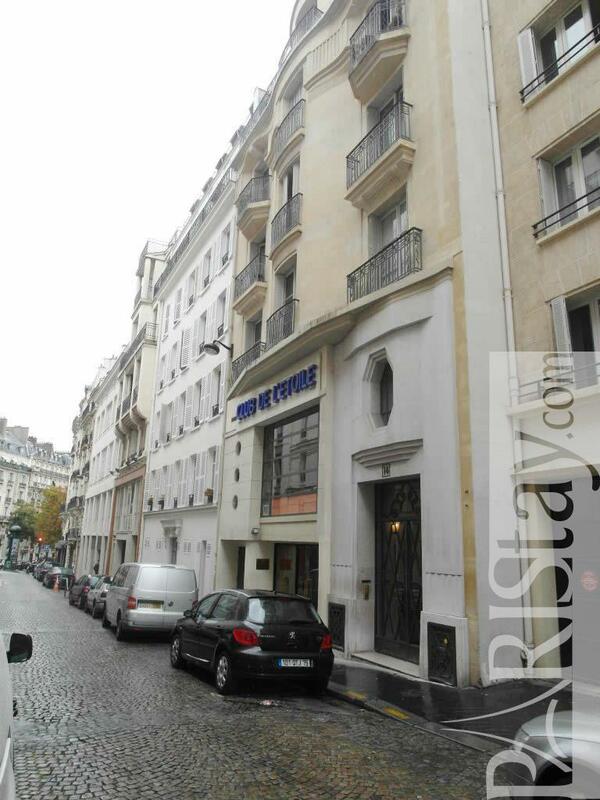 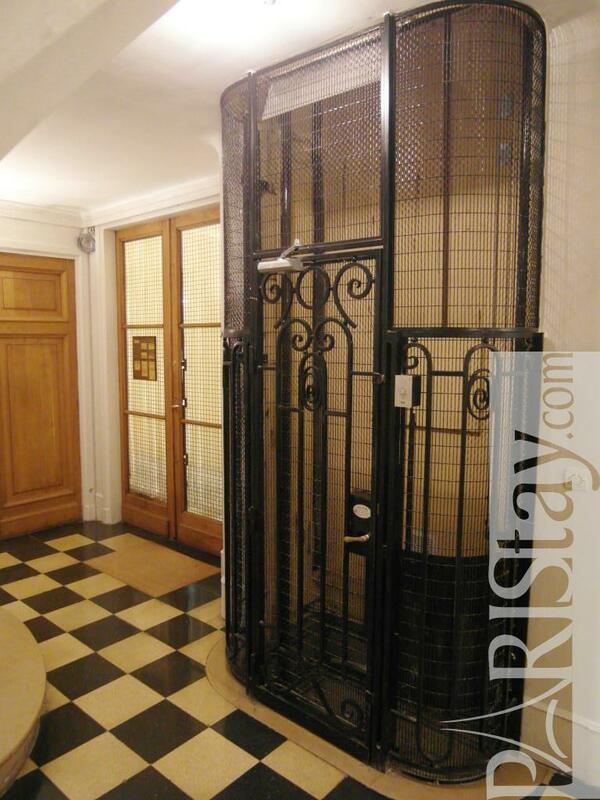 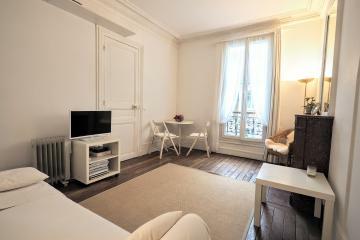 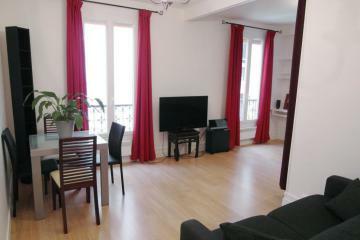 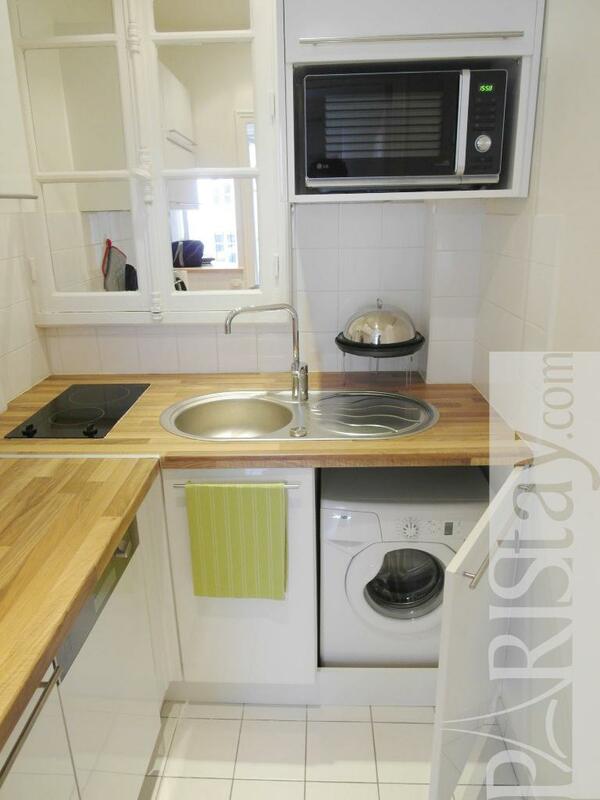 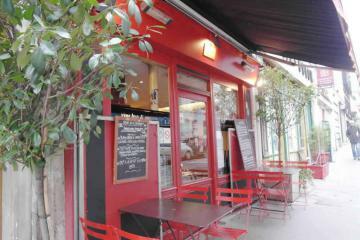 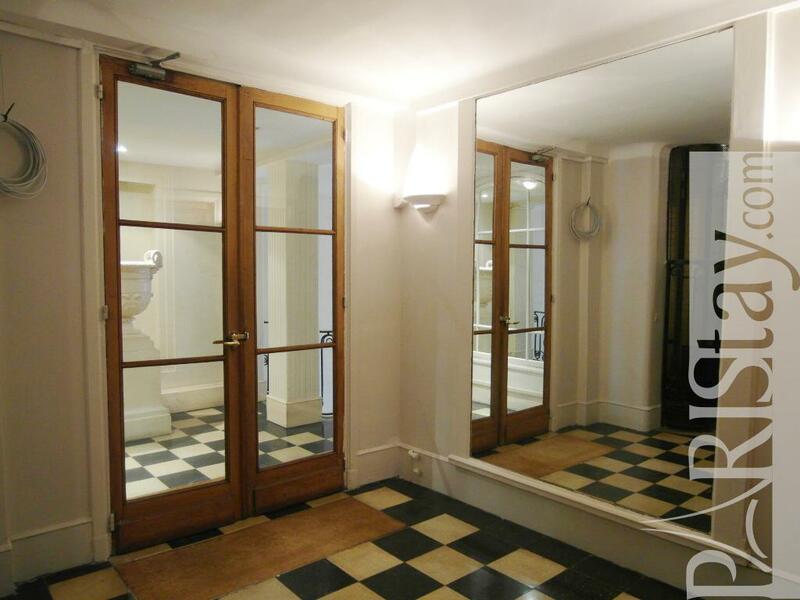 3 th floor, with Lift, entry code security system, Studio Appartement, furnished, Approx: 25m² / 269 Sq.Ft.